This is an old article I wrote in 2012 whilst in Israel, which I never finished, not previously released. Here is Part 1. 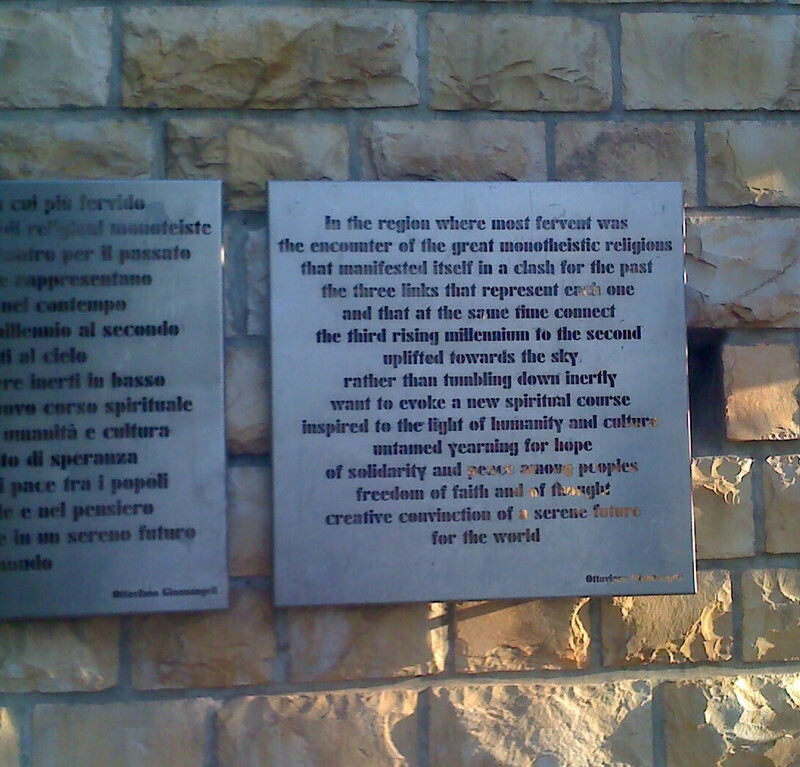 Some well meaning people in Italy gave this monument to the Palestinian people in Bethlehem. Think they could of got someone to do a better poem than this. This artwork reminds me of all those tacky digital countdown clocks that were in pubs in the UK in 1999, did they all go in the bin I guess? This bell comes from Japan! 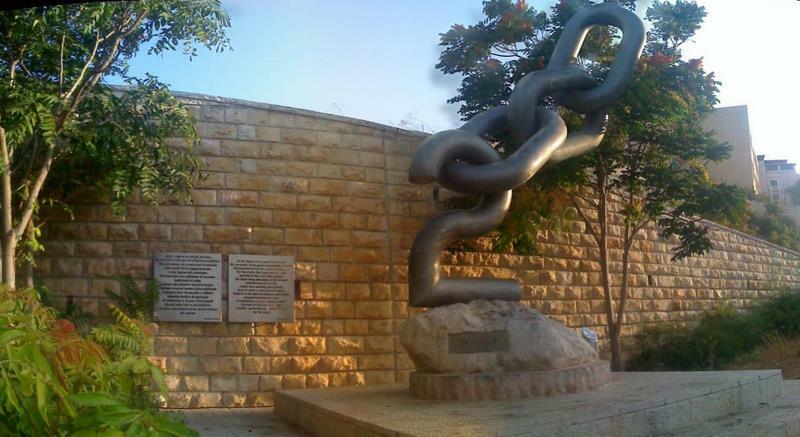 Its in Gan Sacher Park, Jerusalem. 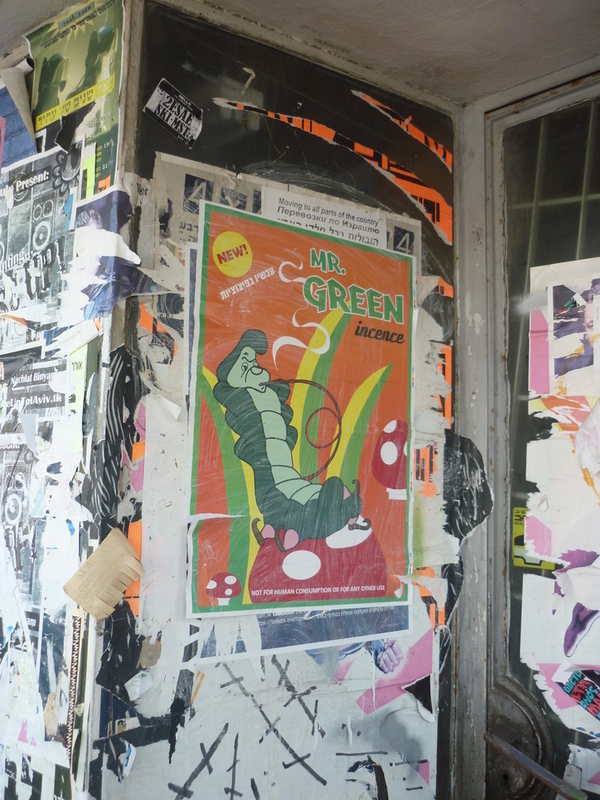 Here is another not so legal way of trying to get peace: This poster was in a sleezy looking street in downtown Tel Aviv. I did see before certain types of drugs that promote a legal high, that are yet to be outlawed, and that exact impacts of health and not yet known. 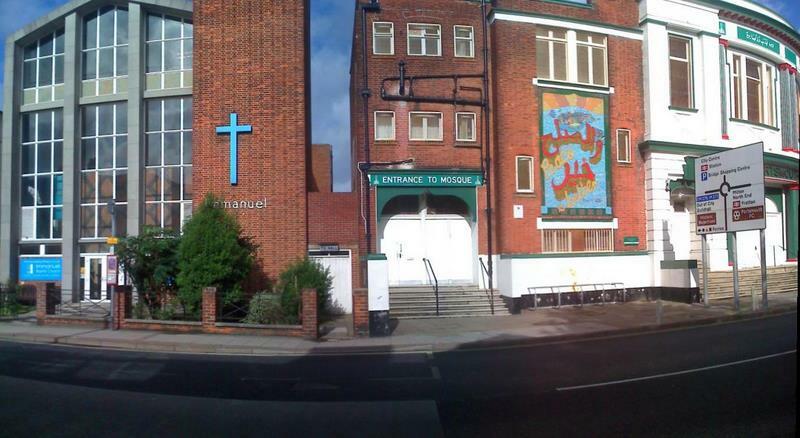 Back when I last visited my home city of Portsmouth, UK, there is this: A traditional style church, next to it is a large mosque that used to be a bingo hall and previously a cinema. This new Peace design in English and Arabic on the wall seems quite eye catching. However, I don’t really see peace in Islam, but I do know that Jesus loves the Muslim people and wants them to find him as Lord and savior. There are a few believers in Portsmouth too who left Islam behind. For a while now, I have had an urge to pray for Asian and Arab people in Portsmouth who peace, fulfillment and eternal life are only found in Christ, this serves as a good reminder for me to do this.